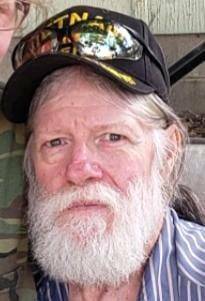 Paul E. “Ernie” Hoover, age 64, of Montpelier, Ohio, died on Thursday, December 20, 2018, at his home following a long battle with cancer. Mr. Hoover was a graduate of Hicksville High School. He was welder at Martin Sprocket and Gear for 39 years prior to his retirement. He served in the United States Army for over six years during the Vietnam War. Ernie was a member of the Montpelier Eagles and Moose and the Bryan AmVets Post #54. Paul E. Hoover was born on December 30, 1953, in Hicksville, Ohio, the son of Paul and Betty (Teegardin) Hoover. Ernie is survived by his fiancé, Charlotte Rose Barker, of Montpelier; children, Jenny Brown, Heather Hoover, and April Hoover, Joseph (Tiffany) Marshall and Angie (Fred) Zilch, Lindsey Hammond, Terryn Rupp, Natasha Harrold, Trinity Bussell and Madison Bussell; many grandchildren, mother, Betty Hoover; brother, Rick (Nancy) Hoover; sisters, Rhea Echols and Kathy Blair and special care givers, Chris Hill, Melvin Griswold and Samuel Bussell. He was preceded in death by his father. Honoring Ernie’s wishes, there will be no visitation or services. He will be laid to rest next to his father at Scipio Cemetery near Harlan, Indiana. Krill Funeral Service, 860 West Mulberry Street, Bryan has been entrusted with his arrangements. Memorials are requested to Great Lakes Caring Hospice or the Montpelier Eagles.To sign the online register or to send condolences, please visit www.krillfuneralservice.com. Be the first to comment on "Paul “Ernie” Hoover (1953-2018)"